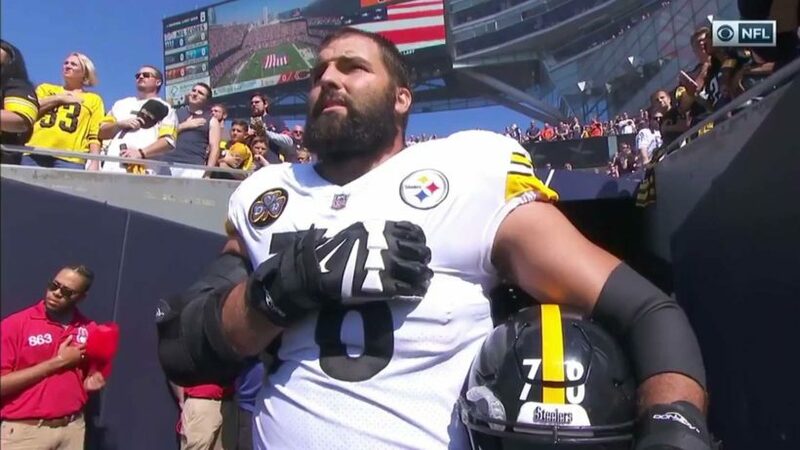 Alejandro Villanueva stood for the national anthem on Sunday. Villaneuva played in college at West Point Military Academy before going on to become an Army Ranger. He served three tours in Afghanistan and was awarded the Bronze Star Medal for Valor. He was signed by the Philadelphia Eagles in 2014 before eventually joining the Steelers. Some players said they did not stand for the national anthem following President Trump’s remarks that any player who doesn’t stand for the national anthem should be fired. What do you think? As the President of the United States, should President Trump call out these privileged elite players for disrespecting our national anthem? If a professional athlete is unhappy about the country, what is the best way to use his popularity to make a difference? Is this it?